So what is all this hype about the Internet of Things? Is it really the next phase of the Internet, will it really transform our lives, is it really worth £322 billion to the UK Economy by 2020? For the more seasoned of us, are we at the peak of IoT gimmicky products and hype? Has the bubble now burst and will application after application become viable and then valuable? 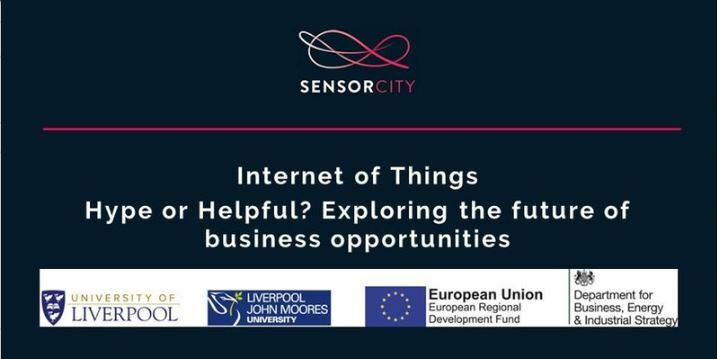 Join us on the 27th July for a joint IX Liverpool and Sensor City event, presented by Prof. Matt Wilson from Telecoms Cloud and you’ll discover how the Internet of Things could affect society, the workplace and your home, and learn what (if any) opportunities could arise out of it. Ahead of this event, IX Liverpool will be holding an open board meeting, starting at 17:00hrs. This is open to the general public, so if you want to come along and learn more please do.